The eagle is widely regarded “the Queen of the skies”. But what makes the Eagle the Queen of the Sky? Well, a National Geographic documentary takes a look at the life of the eagle. The documentary follows the life of one individual eagle from hatching, to leaving the nest, and then setting up a home on her own. Look at the journey and the fight for survival, revealing what it really takes to become a queen of the sky for one eagle. In total, there are more than 60 members of the eagle clan. National Geographic explores their world, showing the majestic Harpy Eagle o the Amazon. The documentary features slow motion scenes, revealing the true skill of the eagle and how it catches prey from the water’s surface. In winter, on the other hand, when food is hard to find, some eagles hunt around ice floes. And that is where eagle battles occur. 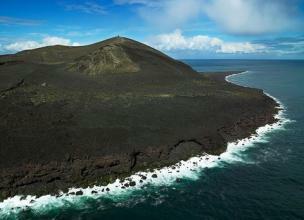 What Is so Special About Surtsey Island, a Place Tourists Can Never Visit?